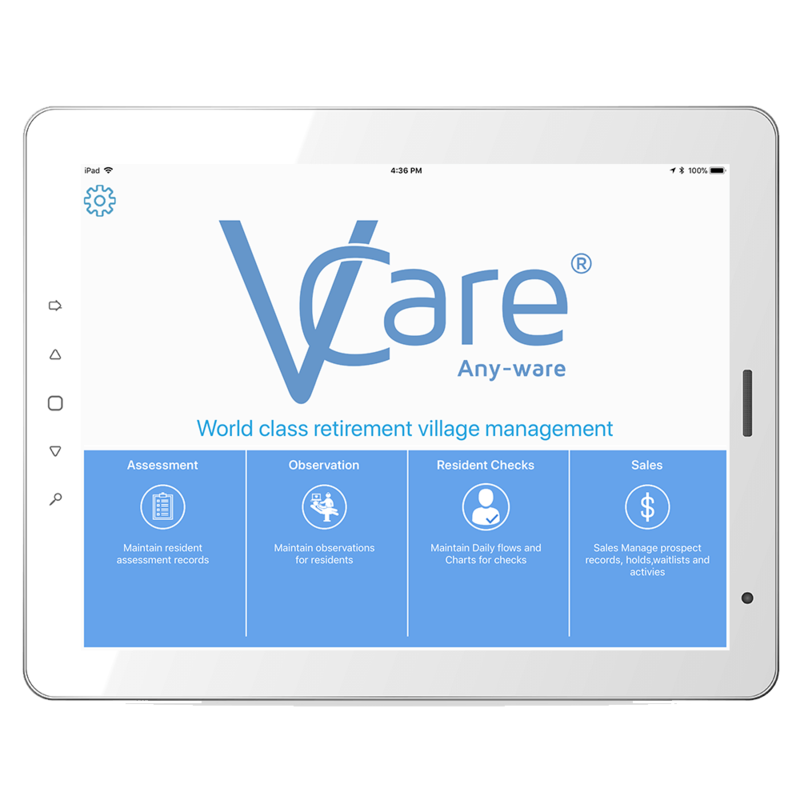 VCare Any-ware enables carers, nurses and other clinical staff to access resident care plans, notes and observations and resulting triggers from the devices in the palm of their hand. VCare offers a range of mobile applications including Observations, Assessments and Sales. The app also allows on-call clinical staff to access clinical information and/or care plans from the comfort of their own home or wherever they need to access this data. This easy to use application can be installed on a wide variety of Android and iOS devices and works as part of the VCare solution. VCare Any-ware used secured web services to pass data from the mobile device to the database. No personal information about residents is stored on the mobile device reducing the risk of data protection breaches if the device is lost or stolen.